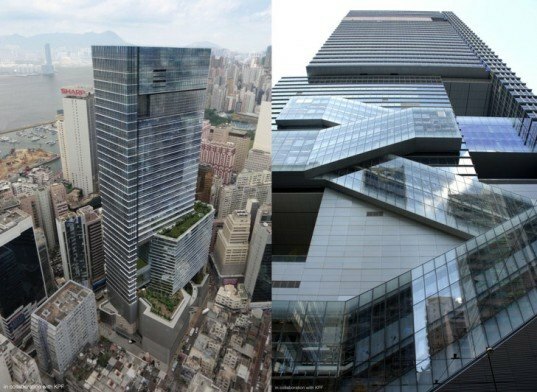 Hong Kong's new Hysan Place is a 67,000 square meter mixed-use tower that is the first in the region to be pre-certified LEED Platinum by the USGBC. Designed by the team of Kohn Pederson Fox and Dennis Lau & Ng Chun Man Architects & Engineers, this premiere retail and office building transformed a 1970s structure into a vibrant space that blends efficient design with the culture of Causeway Bay. Causeway Bay is Hong Kong Island’s premiere retail district and is also known to be one of the most polluted areas of Hong Kong. Kohn Pederson Fox and Dennis Lau & Ng Chun Man Architects & Engineers pushed the Sustainable/Environmental agenda from the inception of the project, and has been recognized for the efforts by the USGBC. It not only was rewarded with a Pre-Certified LEED Platinum rating, but the project also was awarded a Merit award at the Hong Kong Green Building Awards 2012. The design of Hysan Place takes advantage of new codes and standards to integrate a series of terraces, atriums and roof gardens into the tower structure. The tower seems to take on a different face from various elevations, and provides the public with a continuous sense of materiality while challenging the eye with various conflicting geometries. The stacking and interplay of these solids and voids creates a wonderful expression of how green space and daylight can penetrate modern towers. The vertical circulation of the express escalators even takes on geometry among the facades. 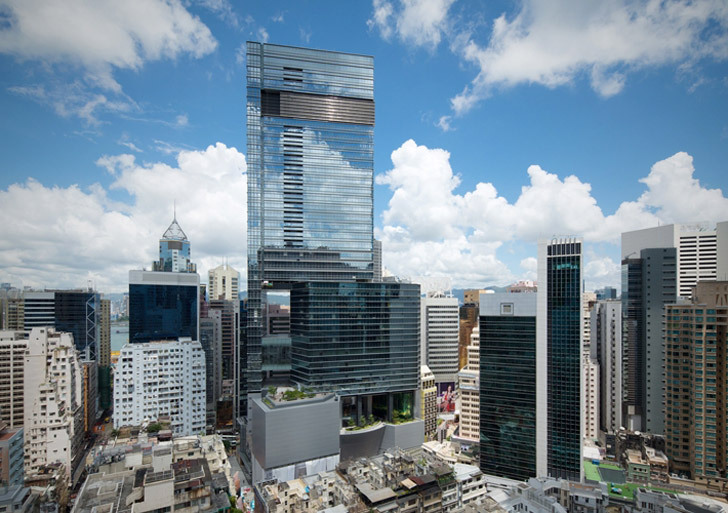 Hysan Place is the first private initiative to create a sustainable commercial building in Hong Kong. The integration of the 40,000 square-meter retail space within 15 floors, alongside the other 15 floors of approximately 22,000 square meters of office space with efficient systems such as Daylighting, green roofs provides Hong Kong with an impressive example to learn from. + Dennis Lau & Ng Chun Man Architects & Engineers Ltd. The building is literally completely transparent in order to provide as much integrated daylight into the retail spaces as possible. The tower seems to take on a different face from various elevations, and provides the public with a continuous sense of materiality while challenging the eye with various conflicting geometries. Causeway Bay is Hong Kong Island’s premiere retail district and is also known to be one of the most polluted in Hong Kong. Kohn Pederson Fox and Dennis Lau & Ng Chun Man Architects & Engineers pushed the Sustainable/Environmental agenda from the inception of the project, and has been recognized for the efforts by the USGBC. From every adjacent street, the facades of the building change and this facade represents the linearity which proceeded the modern work done now. Glass roof atrium allow for natural light to flood into the commercial retail sections of the tower. Hysan Place is the first private initiative taken to create sustainable commercial buildings in Hong Kong, and it is a success at that. The integration of the 40,000 square-meter retail space within 15 floors with the other 15 floors of approximately 22,000 square meters of office space provides Hong Kong with a development to learn from.